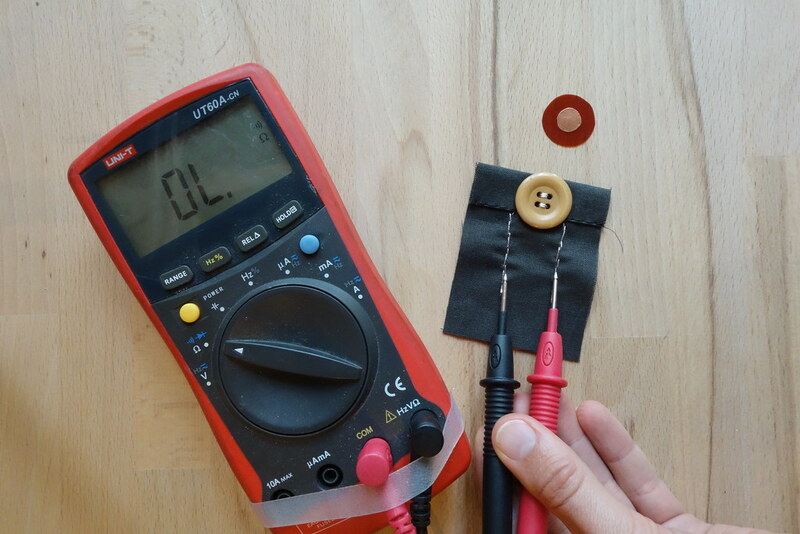 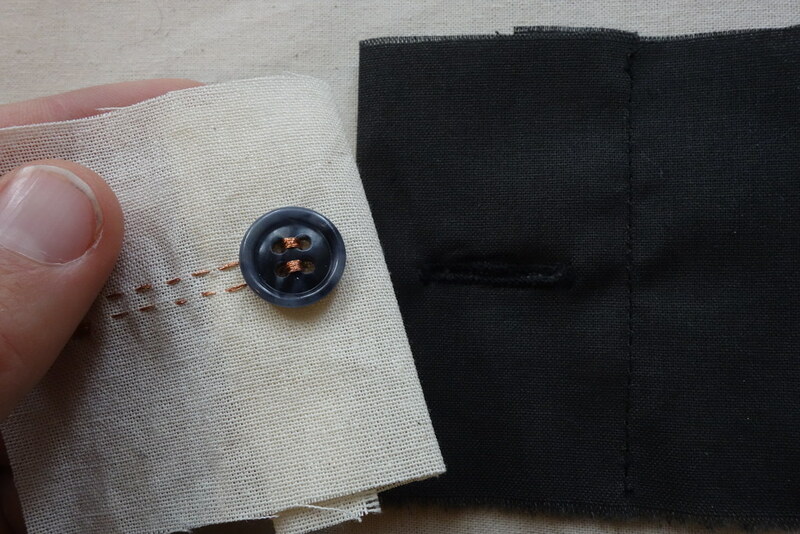 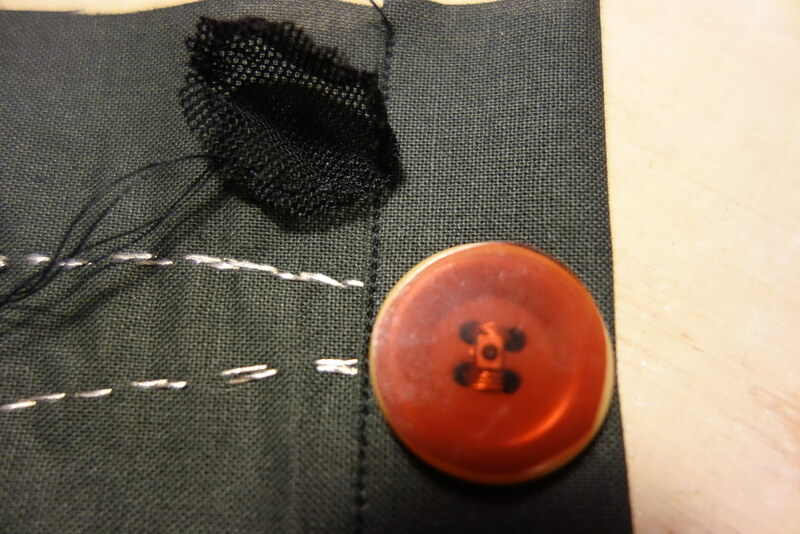 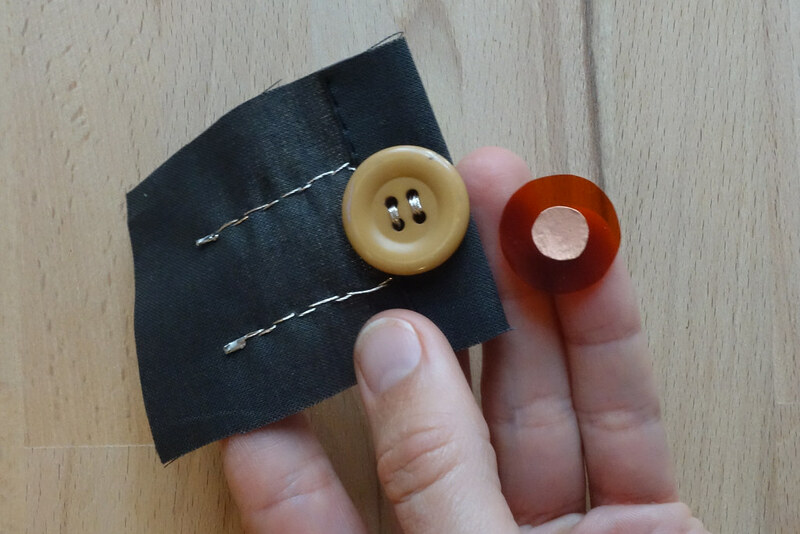 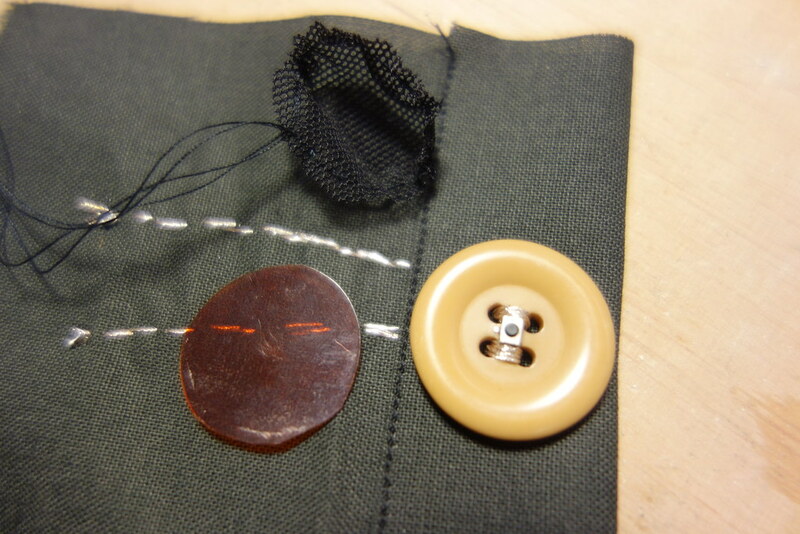 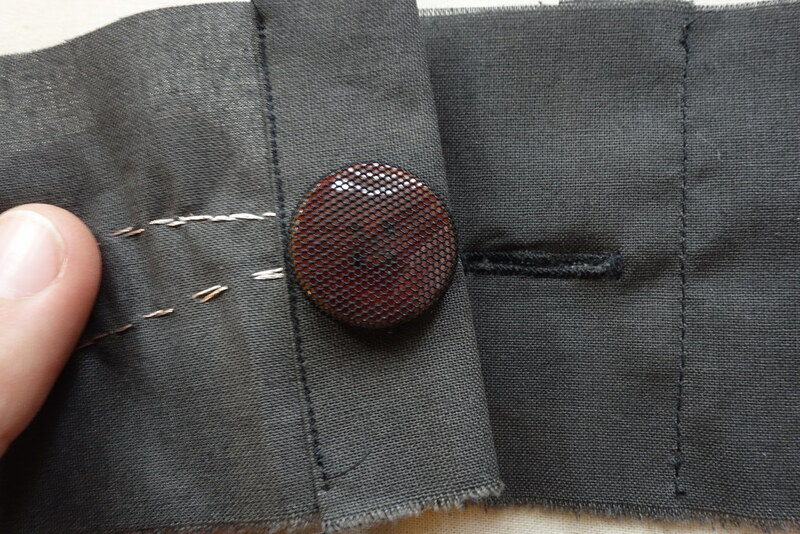 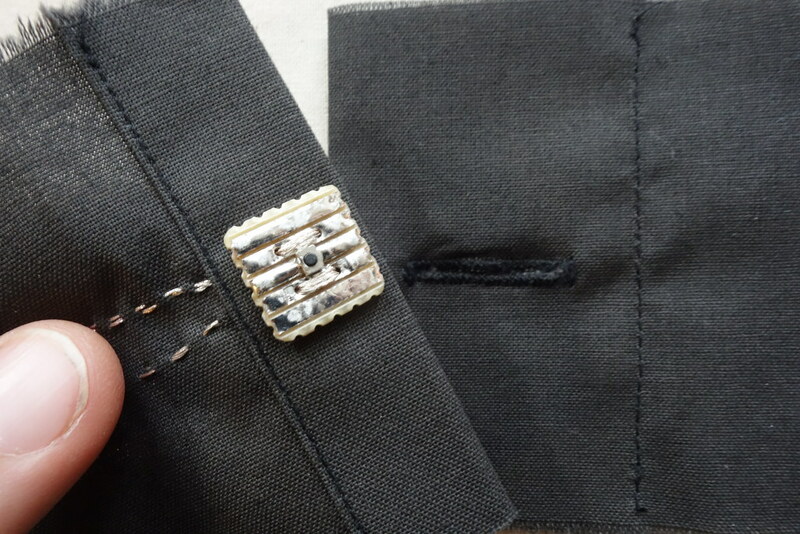 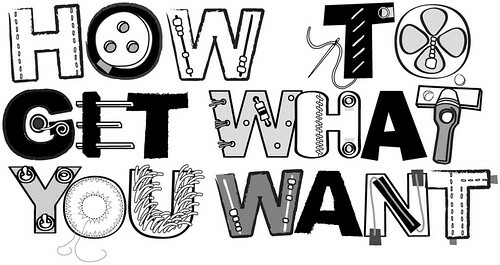 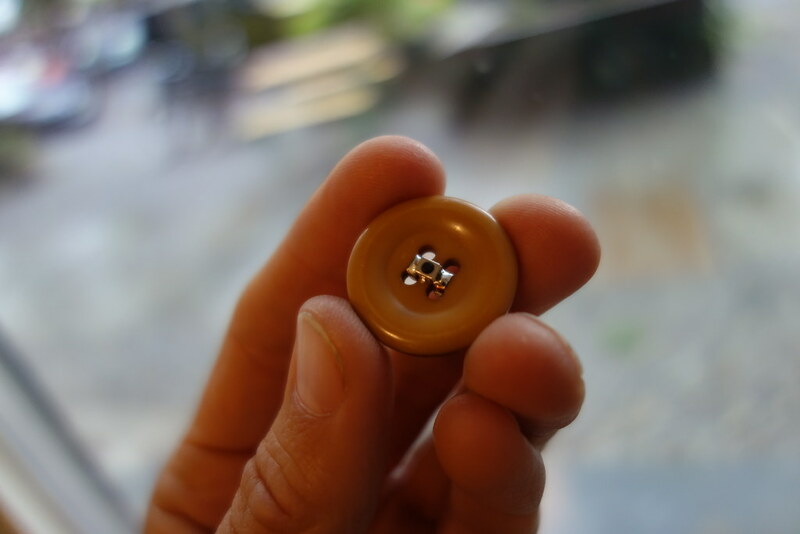 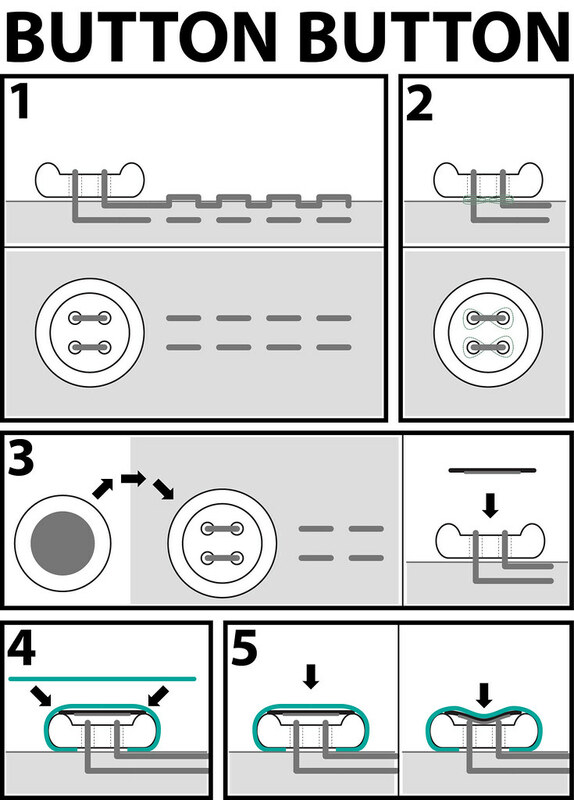 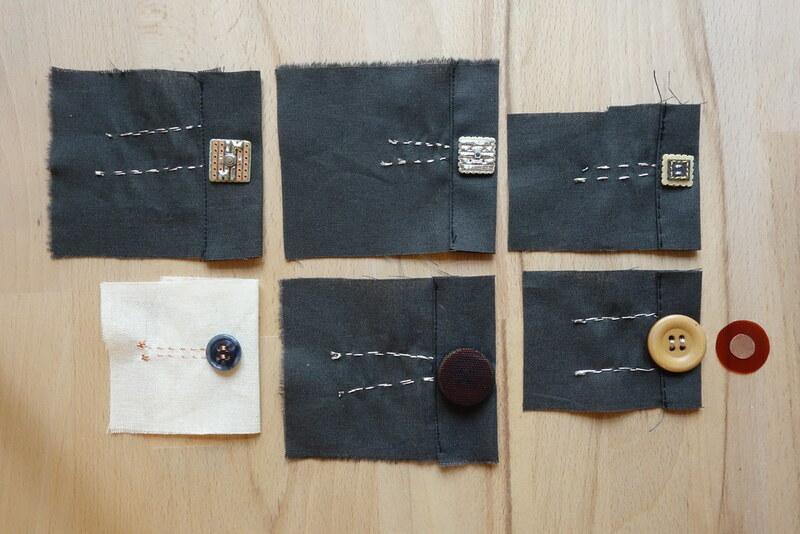 This post covers a few different ways you can construct your own electrical “pushbutton” or embed a ready-made mechanical pushbutton (also known as momentary switch) into a textile button. 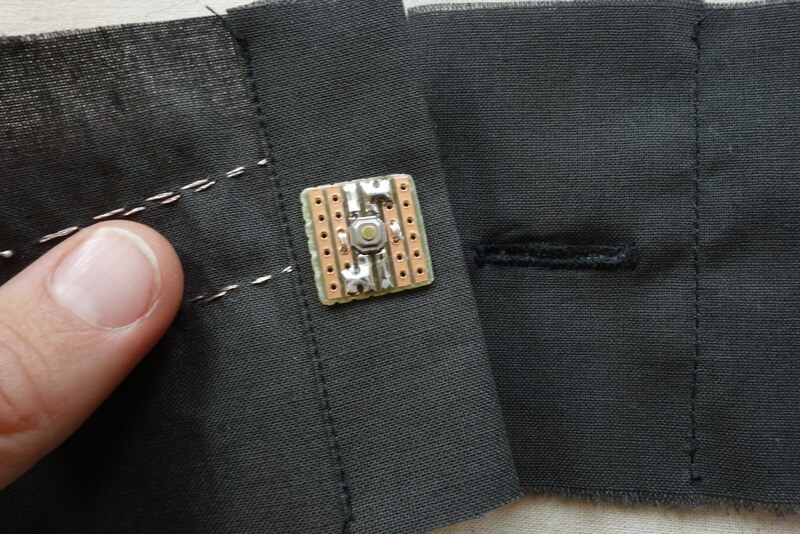 What is nice about the mecanical mechanism is that it provides a haptic (and also sonic) feedback to let you know that the contact was made. 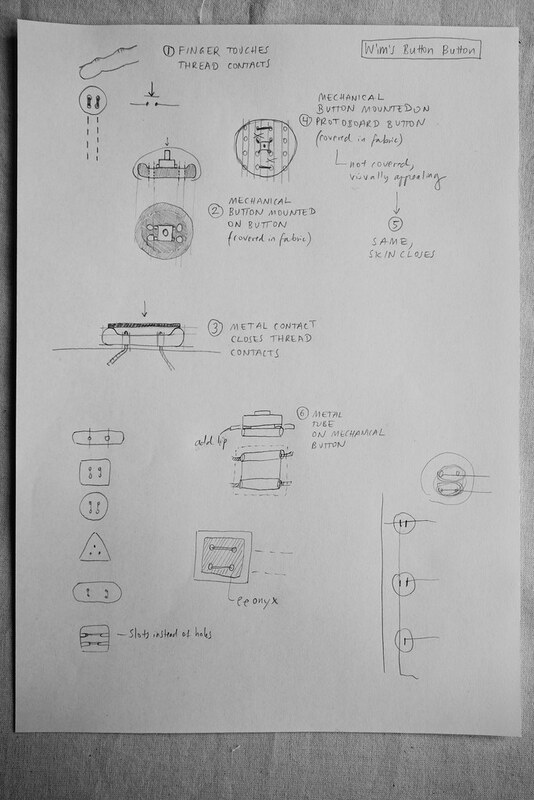 In future versions of this design, I would like to find a way to construct the mechanical haptic feedback myself. 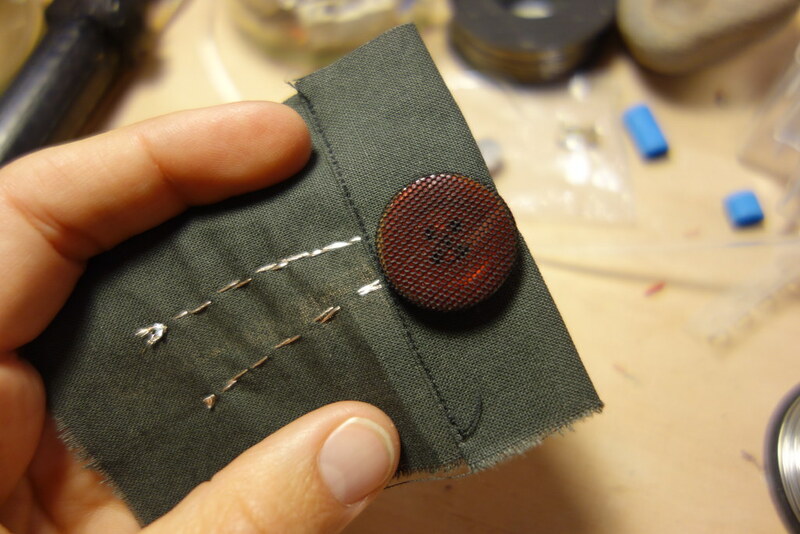 This design was first developed for Wim’s Storytelling Vest, a commission to the KOBA e-textile tailor shop.